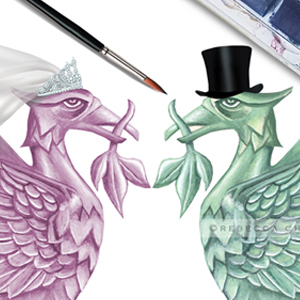 Rebecca is a local Liverpool wildlife artist and uses her watercolour paintings to create wedding invitations, personalised wine glass charms, wedding cake toppers & wedding gifts – prints, greeting cards, scarves and even jewellery! The perfect Christmas gift! Robin scarf created from art.